Welcome back Jay-Squad. 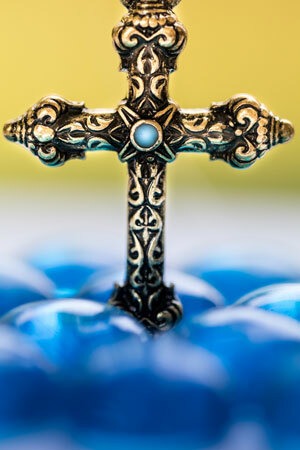 Here is another idea for practicing your macro photography. Photographing tiny crosses. Here are the different crosses I'll be using. I'll be using fishing wire to hold them up for the photo. This tool is called "helping hands". I use this to hold up the jewelry. I'm also using different objects for the background. Like this box. Ok let's see how these photographs turn out. Start the music! Alright, there you have it. A fun way to practice macro product photography. Vote for your favorite by clicking the poll at the top right corner, or leave a comment below.